Movie dialogue has a way of worming its way into our subconscious and speech. 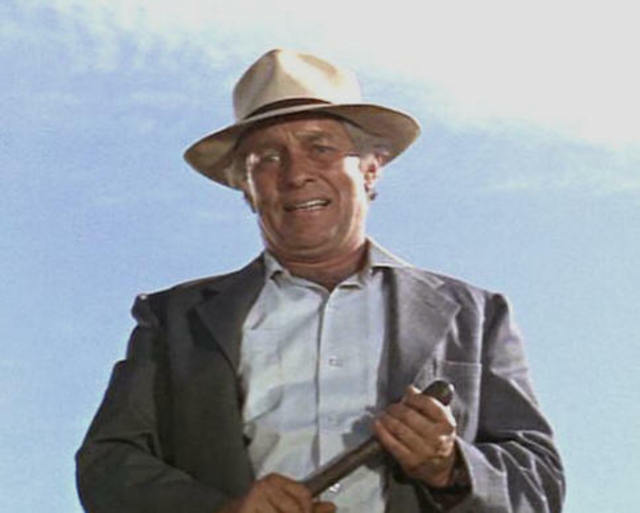 I personally opt for Stuart Rosenberg’s brilliant Cool Hand Luke 1967, which was mix of Christ-like allegory and general anti-establishmentarism. (Now there is a descriptor which has lost its currency. Many late 60s and early 70s films enjoyed sticking to The Man.) Totally brilliant script, awesome cast and rural prison farm sets which equal those captured in brilliant widelux black and white by Bruce Jackson of the Arkansas Prison Farm in 1975. If you appreciate photography, hit up Jackson’s 17 photos in the NYT and put them on full screen. 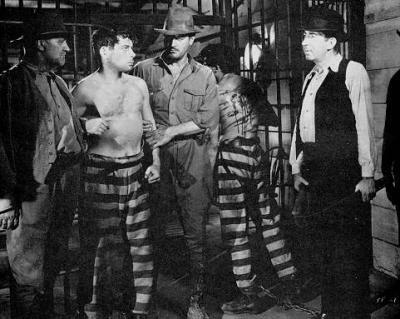 While we are into the chain gang theme, presently watching I am a Fugitive from a Chain Gang directed by Mervyn Le Roy in 1932, and by god, is it realistic. Shiela Terry: Pre-Hayes Office really hot babe from flic. Anyway, as most folk with half a film education would recognize dialogue from Cool Hand Luke, I will spare you. “Just when I thought I was out, they pull me back in.” And you know who it was, okay. Now, I thought I was finished with the Blue Sky Series, but since my library was kind enough to obtain some good reads by Ian Buruma, let’s really exhaust the Japanese theme. Total lack of editorial control here: To be finished. 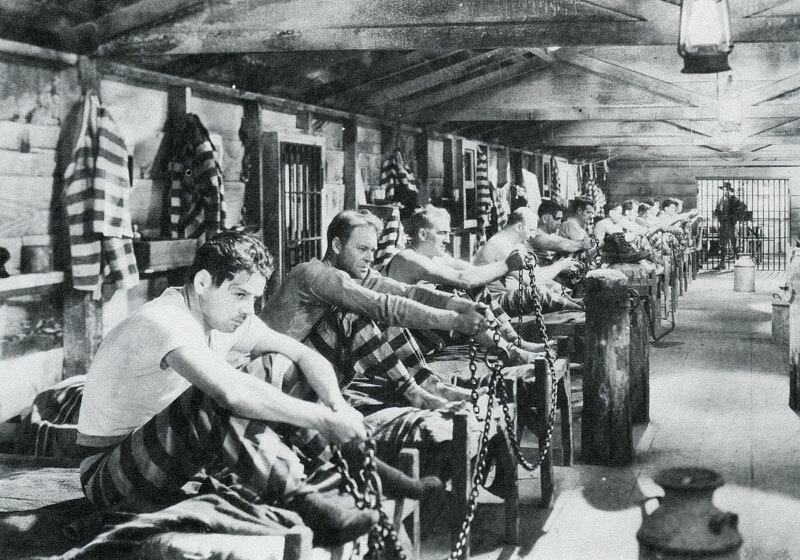 This entry was posted on June 29, 2013 at 1:24 am and is filed under US Gulag The Chain Gang. You can follow any responses to this entry through the RSS 2.0 feed. You can leave a response, or trackback from your own site.